You can use the Rich Content Editor to upload a video. The Rich Content Editor is used in features that support the editor (Announcements, Assignments, Discussions, Pages, Quizzes, or Syllabus). 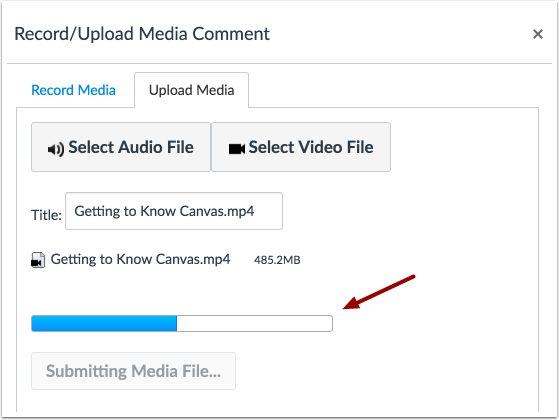 Canvas allows you to upload supported media types. 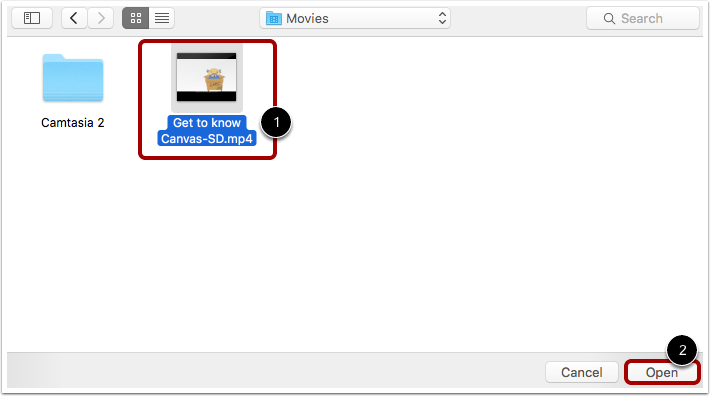 Canvas videos also support caption files. Once you upload a video, learn how to add captions to a video. Choose the Select Video File button. Select the video you want to upload . Click the Open button . The status bar will show you the progress of your video upload. The speed of your upload will depend on your internet connection and the size of your video. Wait for your media to upload. Once the progress bar is full this window will automatically close. View your video automatically inserted into the Rich Content Editor. Previous Topic:How do I record a video using Flash in the Rich Content Editor as an instructor? Next Topic:How do I record audio using the Rich Content Editor as an instructor? Table of Contents > Rich Content Editor > How do I upload a video using the Rich Content Editor as an instructor? Re: how can a student access a video from the class page?